With the death of Tony Scott last week I wanted to do something involving his work, but I couldn’t really do a best of piece because I haven’t seen enough of his work, but there has been a film on my to watch list for a while now…Unstoppable (probably a bad title to pick for a piece to respect a man who recently committed suicide but here we are). I really liked this film because it was an on your seat action film which actually seemed plausible, the characters helped a great deal to bring you into the world of freight trains. The film is original but has an air of other films, but all I can say of that is that if you liked films like Speed and Crimson Tide then you really like this film. 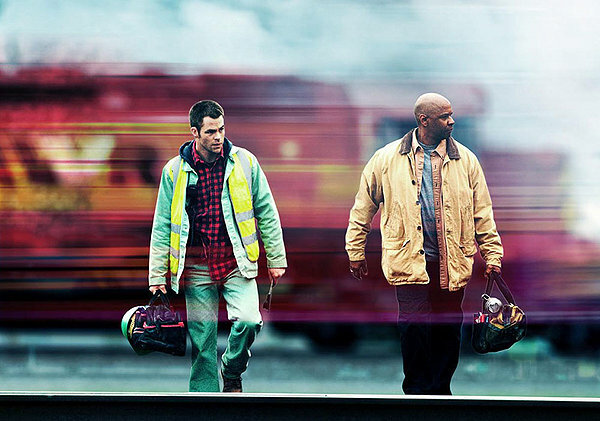 In this action thriller from director Tony Scott, rookie train operator Will (Chris Pine) and grizzled veteran engineer Frank (Denzel Washington) learn that a runaway locomotive carrying carloads of dangerous chemicals is headed for Will’s small Pennsylvania hometown, where his wife and child live. In order to save the day, they must figure out how to catch up to the rogue engine, and stop it before harm comes to the town. Standing in their way is Galvin (Kevin Dunn), the head of the company who is more interested in saving the stock price than lives. On the plus side, the duo have competent corporate employee Connie (Rosario Dawson) on the radio, talking them through their various attempts to corral and then stop the potentially lethal locomotive. The best advice I can give to readers is if you like a great action films made by tony scott then this is for you, plus if you liked films like Speed and Crimson Tide then you will really like this film. To start off let’s talk about the acting. All the characters seemed great and Denzel Washington always does great in his roles so I think he had fun with his role. I liked the way all the characters who would be in peril are made to be relatable to the audience and I think it worked because I liked the two main guys and I didn’t want them to die (that is the point other directors). Now let’s talk about the action scenes awwwwwwyyeeaaaahhhh! The action scenes were very well laid out and for the most part very fluent with great realistic train scenes that seem so real you start to wonder whether or not they used real trains and just crashed them (but then common sense kicks in and you know that will cost like a $1 Billion). Some of the best parts of this film are the characters Frank and Will getting to know each other and learning their pasts and eventually learning wh they are in the sucomstances they are now in. The starts of this films beginning scene is fantastic to watch mainly because you get to see how easily this kind of mistake can happen (slightly worrying) but still it was done very well and the subtlety of what the conductors have to do every day is shown and how not everything is done by competent experts. So now let’s talk about the visuals. The special effects in this film were excellent in terms of just how all the scenes looked perfectly realistic, the trains crashing, the explosions and the running over trains going at 75Mph all looked like a news report. The best thing I felt about this films feel was the way that everything moved fast and didn’t really sit still for too long which made for quick and exciting viewing (In true Tony Scott style). The best review I found would be “Despite Tony Scott managing to maintain his high-octane style, the relative simplicity of the plot gives Unstoppable a more intimate feel than his usual bombastic actioner.” Laurence Boyce. True indeed because it has action but in a relatable situation, but I also liked this review “Thunderous, metallic, ominous, screeching sound effects add to the sensory perception that you’re watching a megaton monster barrelling toward a dramatic showdown. ” Neil Pond. Now I nearly forgot about that and I really liked that monstrous noise added to the train because it really made it feel like it was doing it on purpose and it made it more fun. My favourite scene would have to be the scene in which Frank and Will hitch up to the runaway train and them doing all the action bits which really up the ante of the film and make you shuffle closer and closer to the edge of your seat. Great to see one of Tony Scott’s films getting such praise. However, this one didn’t work for me…I just felt there wasn’t the tension seen in some of Scott’s best work. 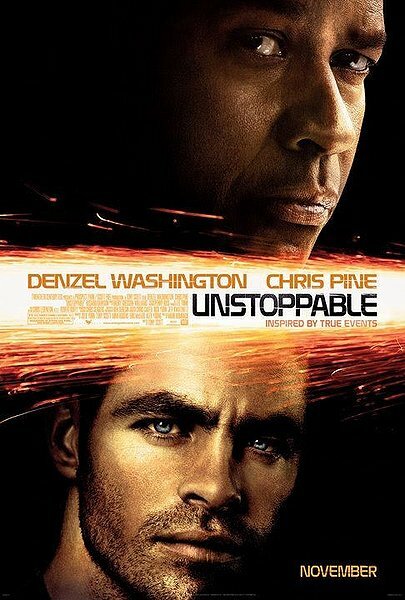 The combination of Chris Pine and Denzel Washington is enough for me to watch this movie soon. The story here sounds plausible which is another thing I like so much. There really isn’t a bad guy in the movie, just the guy who made a simple mistake. I just recently put the movie on my queue in my Blockbuster @ Home account and the movie should be here in a few days. Once I’m done with the movie I just send it back and the next one on my list gets sent out. It’s way better than having to go all over the place to find the movies I’m looking for. A Dish co-worker recommended Blockbuster a while back and I decided that I liked it enough to keep using it. From what I’ve seen of this movie in previews and trailers it definitely seems to be right up my alley. 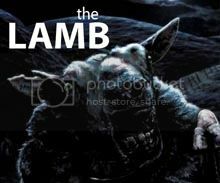 I can’t wait to see this movie! good write up! This is now on my to watch list. thanks. I’ll agree, it was a fun flick. Not the greatest action movie ever or anything, but I found it entertaining. Nice one Tim! This was a lot better than I thought it was going to be. Nice review. Good review Tim. It can be fun but that camera just continued to annoy me the whole time. I get it Tony, you want us to feel tension! Oh well, still a relatively entertaining piece because of the talents of Washington and Pine working together. Nice write-up Tim. I’ve often wondered about this one. I think I’ll give it a try now.